Boletus edulis, King Boletes, Lil Piggies, Stone Mushrooms: yes, we’re talking about the infamous Porcini! A culinary favorite in kitchens around the world, this mushroom is one our our favorites for late spring foraging. Join Rachel Zoller for a day of porcini hunting, high up in the forests surrounding Mt. Adams. 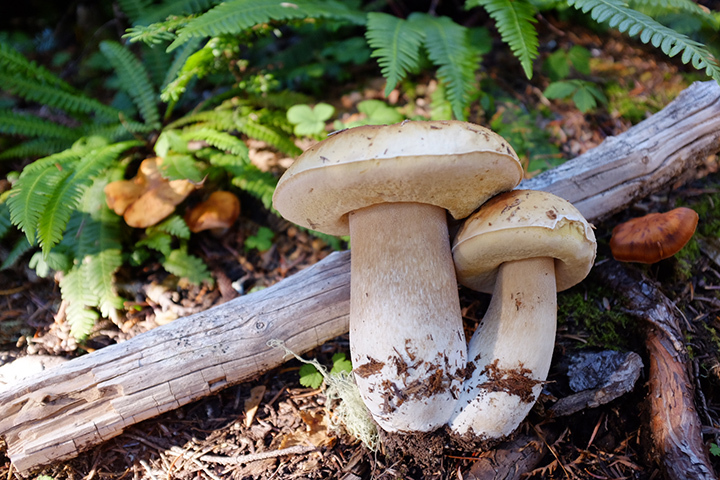 As in all of Rachel’s classes, you’ll spend time learning the basics mushroom ID, wild food safety, as well as exploring forest ecology as it relates to mushroom habitat. Join us for a mountain mushroom hunt: it could be the last wild, edible mushroom you see until September! This workshop is open to all adults 16yrs & over, who are prepared to hike all day (rain or shine) on uneven terrain, off-trail. This is not a suitable workshop for those with health conditions that may be triggered by hiking, carrying a backpack, or being outside for 5+ hours in variable weather conditions. Finding porcini or other edible mushrooms is not guaranteed. A high level of education, however, is guaranteed! Please leave dogs at home.